Up up and away! 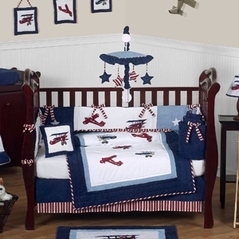 Let your little tot imagine that they are a world traveler with our beautifully designed airplane crib bedding sets. 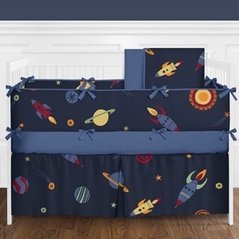 From baby aviator airplane baby bedding to many other plane inspired airplane crib sets to come, this section will continue to expand to meet your needs! Our airplane crib bedding is constructed using only the softest and warmest fabrics that are tested to be safe and hypoallergenic. 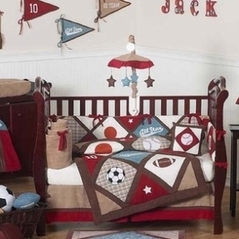 Every one of our adventure inspired bedding sets, from camo baby bedding to bumble bee baby bedding, is designed exclusively by leading brands such as Sweet Jojo Designs and so you can rest assured that you are receiving the premiere vintage as well as modern crib bedding designs available. In addition to our airplane baby bedding sets all of our crib sets, from fire truck bedding to pink and brown bedding come with the same attention to detail and quality! Soon your child will be wandering off to a peaceful sleep dreaming of the exciting adventures ahead of them. 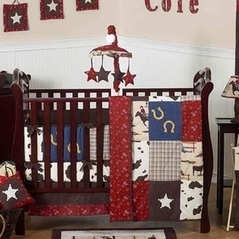 As with all our baby bedding sets we have made sure that all of our bedding accessories, such as baby mobiles and lampshades, are perfectly matched and constructed with the same standards of quality. 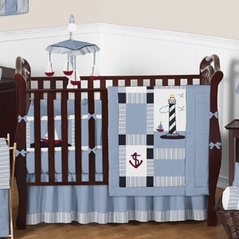 So if you like our airplane baby bedding, you may also be interested in our nautical baby bedding sets or the contemporary modern baby bedding collections.